Love and greetings from Africa! 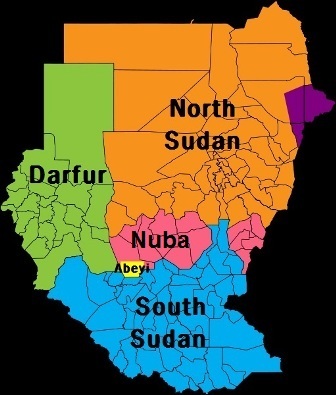 July 9 marked the birth of the newest and 54th nation of Africa – South Sudan. After decades of bloody civil wars, people of southern Sudan finally found freedom from oppressive militia’s activities under command of President Omar al-Bashir, an International Criminal Court convicted who is known for his gruesome genocide in Darfur region. In spite of this good news, fresh loots and killings are still making daily news in Nuba region, which still belongs to North Sudan. South Sudan’s independence day didn’t come smoothly even in the last few weeks. Northern troop invaded Abyei, a disputed oil reserve situated on the border between South and North Sudan, on May 20, and made thousands flee. The situation got halted just a few days before the indepen dence day due to U.N.’s intervention. Please continue to pray with us for Sudan’s peace in large. In the midst of this chaos, EAPTC Sudan based in Juba, the capital of South Sudan, has continued to expand its outreaches. Juba church is currently in process of purchasing a permanent building that will house both the church and Bible training center. Thank God for His sustaining grace that Juba church has just celebrated her 2nd anniversary. Many Sudanese are now turning to the Lord and being added to those who are saved. Keep uplifting in your prayers also Edward and Josephine Kamau and their co-workers who passionately serve Jesus in a dire environment of this young nation. Malawi’s Lilongwe Bible training center lately began its fencing construction. This $4,700 project, that was supported by the student body of Oral Roberts University, my alma mater, is to be completed by October this year. We thank God for those who gave sacrificially towards this meaningful project. Some of you remember that Lilongwe church planted a daughter congregation in Mchinji, Malawi in the beginning of 2010. You might be pleased to know that Mchinji church has now grown to over 150 members. It has even planted two granddaughter churches – one in Mponda, Malawi and the other over the border in Bene, Mozambique. This principle of cross-cultural discipleship multiplication that we’ve seen it work keeps proving to work effectively in many places of the world, and we give God all the glory for that. FYI, Mo zambique is one of five African states that speak Portuguese as their official languages. The 100 members of Bene church already began to prepare bricks for church construction on the land that was donated by a chief of the community. Each and every time we write you a periodical missions newsletter like this, we’re repeatedly reminded of God’s grace and goodness that kept and blessed us for another season. All those prayer requests we’ve shared and seen God answer them in past make us appreciate the Lord ever more and move forward to a brighter future of our life and work. I encourage all of us to lay both things in the past and things yet unseen to the Lord’s wonderful hands, as Don Moen’s song “I offer my life” sings about it. I trust, the best is yet to come for both you and me!